Progressive winemaker David Swift Phinney was “introduced to wine, how it was made, and got hooked” during time spent in Italy in 1995. Upon his return to the States he took a job as a harvest worker at Robert Mondavi. It was there that he decided, “that if he was going to work this hard, it would eventually have to be for himself”, and in 1998 Orin Swift Cellars was founded [Orin is his father’s middle name and Swift is his mother’s maiden name]. . He is renowned for wines that “are unapologetically full-flavored and intense, yet with a backbone of structure that holds it all in place”. Winemaking: The Prisoner was an immediate success, and has been hailed as a “contemporary California field blend” [comprised of varying percentages of Cabernet Sauvignon, Syrah, Petite Sirah and Charbono]. 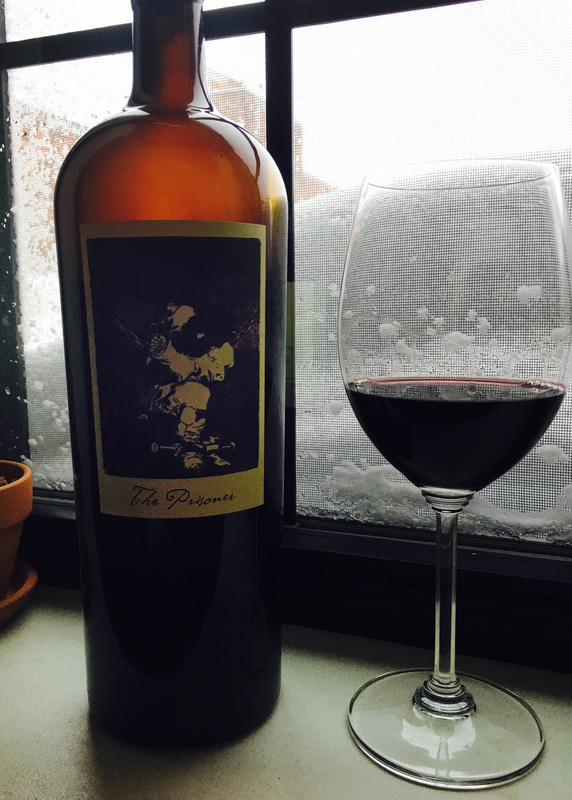 The Prisoner consistently is awarded, and appears regularly on Wine Spectator’s Top 100 list. Tasting Notes: Dark garnet in colour, highly aromatic with aromas of blackberry jam on toast, black pepper, vanilla and mocha traces. Silky layers of concentrated black current, black cherry, raspberry are dusted with crushed black peppercorn along with a hint of graham cracker. Velvety tannins accent burnt caramel, chocolate, black current, vanilla and buttery toast on the fantastically lengthy finish. Opulent and lush, nearly a meal on its own.